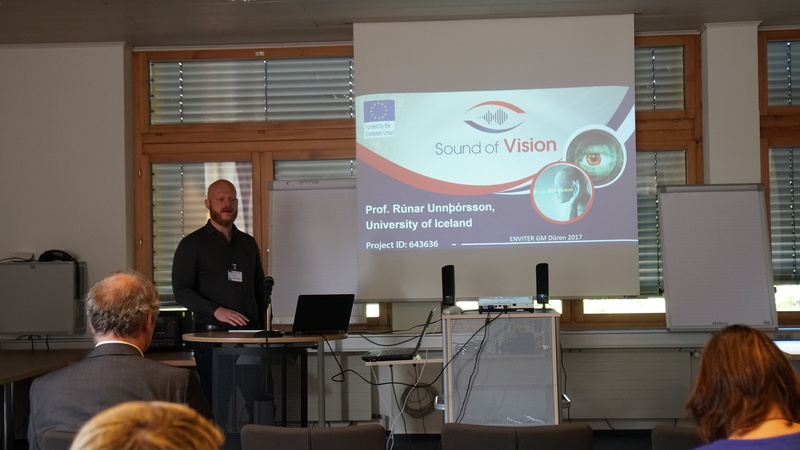 The Sound of Vision project was presented at the ENVITER (European Network for Vision Impairment Training Education & Research) General Meeting & Conference in Düren, Germany. Presenting Sound of Vision was a great opportunity for the project as the ENVITER annual conference is an intellectual platform for professionals to share their theoretical and practical knowledge in the field of vision impairment, focusing especially on innovative methodologies, practices and tools. ENVITER members are specialized schools, colleges or institutes working with the Blind or Visually Impaired.